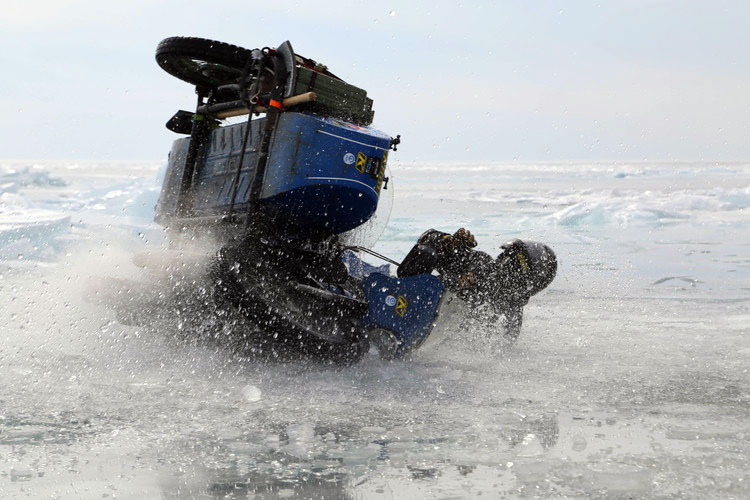  Adrenaline junkies chase icy death in a scramble across Siberia's Lake Baikal. Some scientists say that 20% of the human population have a desire to explore new places, take risks and embrace tough challenges, thanks to the DRD4-7R Adventure Gene. Then there’s the thrill-seeking maniacs that flirt with icy death on the world’s deepest lake — Lake Baikal in Siberia — that must have some other undiscovered Gene. 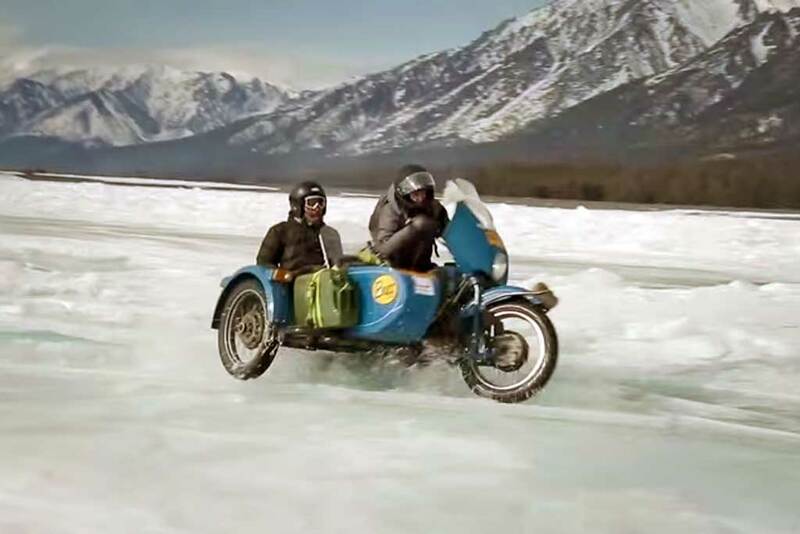 Each year, 10 Ural sidecar crews line up for The Ice Run, an insane, death-defying 10-day scramble across frozen Lake Baikal and its Siberian surroundings. Spanning 12,000 square miles, the lake offers a full range of riding surfaces from mirror smooth finish to boulder fields of ice. With mild winters now the norm, riders must pick through surface water and cracks to avoid a dive into the lake’s 5,387 foot (1,642 meters) depths. With little more than GPS coordinates and Jerry Cans in hand, the sidecar race crews barrel their way across some of the world’s harshest terrain. The trick is not to mix up GPS waypoints though; one set is for fuel stops, the other for perilous obstacles, to be avoided at all costs. It’s a jaw-dropping spectacle of bizarre proportions; words can’t adequately describe the madness of these adrenaline junkies pushing the boundaries of human possibility, and then loading the dice, just for fun! Studded tires notwithstanding, the Soviet-era Ural motorcycle with sidecar is an evil choice of weapon. Powered by its notoriously fickle 750cc motor, “Stalin’s Revenge” demands exceptional skills and mechanical wizardry by its brave, some say deranged, pilots to keep them running. Ice Run contestants are required to ride Urals from the 80’s and 90’s with questionable build quality and maintenance records. For added excitement, temperatures hover around -4 F (-20 C) and drop down to -31 F (-35 C), but the prospect of plunging through broken ice is what really chills the blood. For most of us, this would be 10 days of pure icy hell. For others, knowing that most people are too scared to ever do anything quite this extreme makes it all worthwhile. Then head over to the official sign up page on the Adventurists website.